The Traveling Sound Museum is a collection of Sound Jars that each contain a different sound from a different place from a different time in the history of the world. The collection goes back over a thousand years and contains sounds from nearly every era imaginable. We believe that the earliest sound jars were built in the city of Bosra in the early 7th century CE. The exact mechanism used to capture the sounds is still unknown, but we do know the devices were powered by what is known today as the â€œBaghdad Battery.â€œ The Baghdad Battery was discovered in 1940 by Wilhelm Konig, then the director of the National Museum of Iraq. 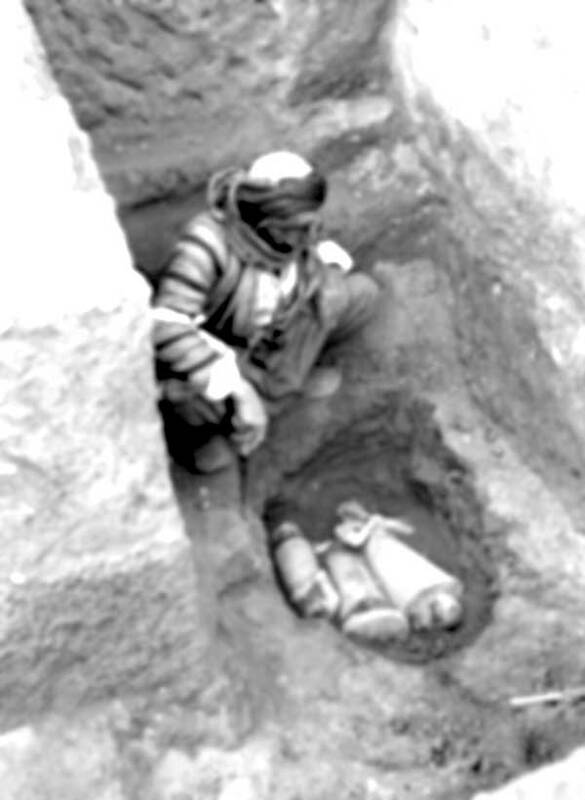 Konig found a collection of 5â€ terracota jars in the basement of the museum, each dating back to the Sassanid Empire (300-600CE) and each containing a copper sheet rolled into a tube and a small iron rod. We believe early scientists were making use of the electrochemical properties of these two metals which, when combined with an acidic agent such as lemon juice, generate almost .5 volts of electricity. This ancient power source made possible the early Sound Jars of Bosra and the entire pre-modern collection of the museum. In 634 the Rashidun Caliphate marched on the Sassanid Empire in the Battle of Bosra. It was a hot, summer attack and a decisive victory for the Caliphate. Amongst the booty collected and marched out of town was a trunk containing the original collection of Sound Jars. As a result the jars survived and prospered under Islamic protection throughout the rule of the Rashidun, Umayyad, and Abbasid Caliphates straight through until the middle of the 13th century. 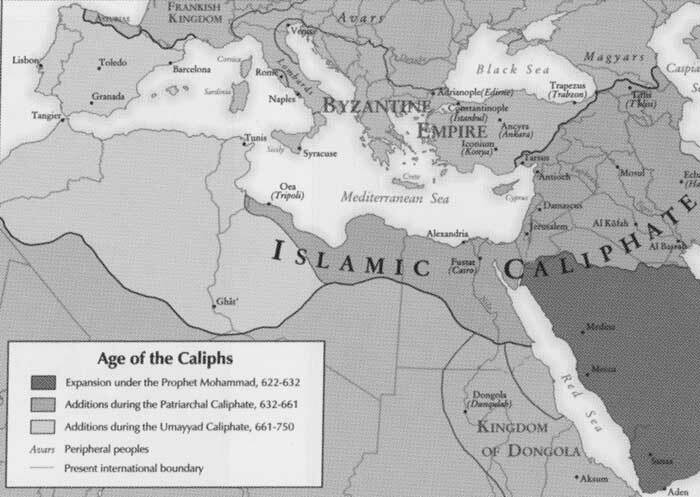 The Age of the Caliphates: A Vast Empire Stretching Across the Arabian Peninsula, the Levant, the Caucasus, And North Africa. But in 1258 the Mongols, under the direction of Genghis Khanâ€™s grandson Hulagu Khan, laid siege to Baghdad, the capital of the Abbasid Caliphate. The Mongols became fascinated with these objects as a way for their largely oral and illiterate society to preserve the sounds of the places they were conquering. As such, they spread the sound jars far and wide and created much of what is considered the Early or Pre-Renaissance collection. With the decline of Mongol power in the 14th century, the sound jars disappeared from history for almost five hundred years. 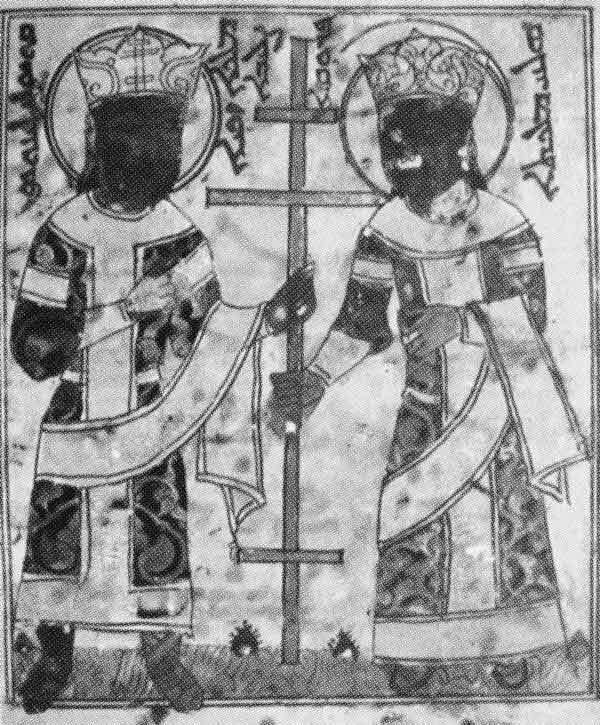 Most likely a depiction of Hulagu Khan and his father Jochi, commemorating their conquest of Assyria. Based on the sounds in the collection today, it is clear that the jars made their way into European hands during the failed Franco-Mongolian Alliance of the 14th century and subsequently to the new world during the Age of Discovery. They are briefly mentioned in a 16th century Irish manuscript, and then vanish again until the late 19th century where the collection appears in the possession of a traveling salesman by the name of Joseph Tarbell. Joseph worked the trade route between Missouri and West Virginia and wasted little time putting the astonishing collection to work. He would charge a penny per person for the opportunity to approach his wagon and listen to the sounds within the jars. 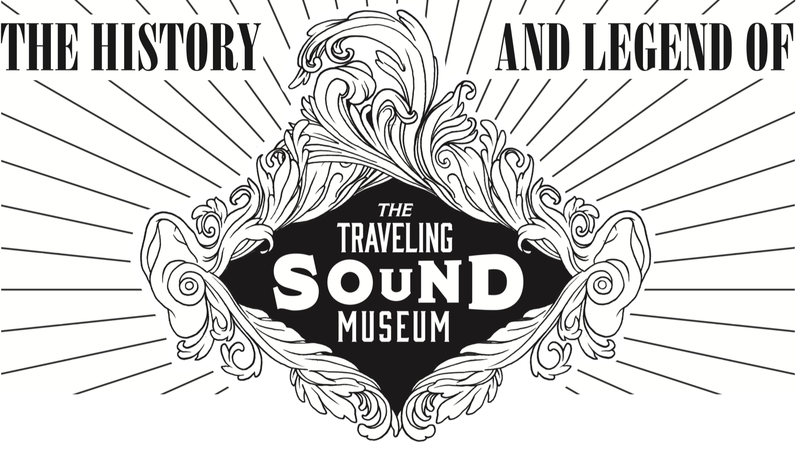 When Joseph died, the Traveling Sound Museum went missing and might have been lost forever were it not for its sudden reappearance at auction in upstate New York in the summer of 2009. A lively Saturday afternoon walk through the Ridley Road Market in the Dalston neighborhood of Hackney in northeast London sometime in the early 1970â€™s. The market has been active since 1887. The recordist is thought to be a local resident but no other information still exists. Journals indicate that Belgian explorer Adrien de Gerlache and his crew recorded this jar when they accidentally became the first men to ever â€˜winter overâ€™ in the Antarctic in 1898, spending 8 months trapped in ice and perpetual darkness before clawing their way out of the ice and back to Antwerp in November 1899. Every 20 years, the ancient wooden Grand Shrine of Ise, Japan has been fully rebuilt, a Shinto renewal tradition practiced for the past 2000 years. These sounds were captured at some point in the 13th to 17th centuries CE, in a rebuilding festival hauling new logs through a riverbed to the shrine site. Intricate stone carvings indicate this sound was captured in the 8th century outside the ancient Mayan city of Caracol â€” yet the jar was discovered 695km north in the Yucatec Mayan city DzibilchaltÃºn. It is believed this may have been a wedding gift after the ruler of Caracol married a Yucatec noblewoman from the north. Often referred to as the westernmost point in Spain, this rock-bound peninsula on the west coast of Galicia has been a destination for pilgrims to the shrine of the apostle Saint James the Great for centuries. This jar is dated to the 1805 Battle of Cape Finisterre, when the British fleet under Admiral Calder prevented the Franco-Spanish fleet from entering the English Channel, thwarting their attempt to help Napoleon invade Britain during the War of the Third Coalition. 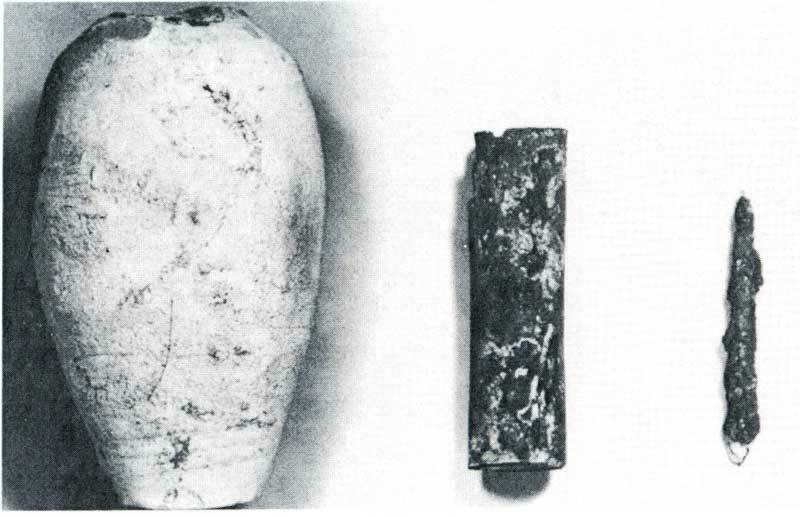 This jar contains not a sound of a historical place in time, but the sound of the Baghdad Battery, the original power source of the ancient sound jars, shorting itself out at some point in the 9th or 10th century. This is the oldest jar in the modern collection and is considered one of the few â€œmust hearâ€ pieces of the current collection. This bustling city on Sicilyâ€™s east coast has been completely destroyed by earthquakes and volcanos seven times in its history and has since the 6th century been under the rule of a variety of empires including the Byzantine, Arab, Norman, Swabian, Angavin, Aragon, Spanish, Savoy, Austrian, and Bourbon. The jar itself dates from the late 1700â€™s and is a simple walk through the bustling, six day a week market that still exists to this day. This sound jar was created by one of the men in Ala-ud-din Khiljiâ€™s army shortly after the sack of Jaisalmer in 1293. It is believed that Ala-ud-din Khilji came into possession of sound jar technology through interaction with the Golden Horde, the division of Mongols ruled by Berke Khan, the first of the Mongols to convert to Islam and the son of Genghis Khanâ€™s eldest son, Jochi. The sounds in the jar appear to be a simple conversation between camel guides at sunset. Ethiopiaâ€™s Sof Omar caves, the largest in Africa, have long been sacred to Islam and Oromo religion. At the height of the Christian Zagwe dynasty in the 12th century, the caves were used as a mosque, refuge, and festival gathering space. We believe these sounds were captured during that era, though the jar remained hidden in the caves for many centuries to follow. In a pioneering use of the diving bell, Hans Albrecht von Treileben descended into the Baltic Sea in 1663 to recover valuable guns from the shipwreck of the Swedish warship Vasa. To his apparent surprise, he discovered more than cannons â€” we believe this is the first humpback whale song ever recorded.